The compact ALFA Network AP121U is passive PoE capable, compatible with the IEEE 802.11 b/g/n standard, offers 150Mbps data rate and a detachable 5dBi antenna. 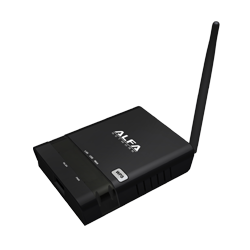 Thanks to the Atheros AR9331 chipset, this WiFi router is compatible with OpenWrt firmware. The AP121 of ALFA Network is 9 x 7 cm footprint one of the smallest wireless router on the market. The wireless router reaches a speed of 150MBit/s in 802.11n mode, but is also backwards compatible with older 802.11b/g devices. With 80mW output power the AP121 is as strong as bigger WiFi router. Connect the AP121 easy to your DSL modem and you can get all your wireless devices on the Internet. In case a device is not Wi-Fi enabled, you can connect it via the integrated Ethernet port. Via the integrated USB port you can connect for example a USB removable hard disk. 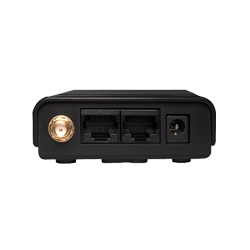 You can power the AP121U with an ethernet cable, thanks to its passive Power over Ethernet capability. The Atheros AR9331 chipset gives you the opportunity to install an OpenWrt firmware instead of the normal firmware. This firmware offers many customization options and functions, which are not possible with the firmware specified by ALFA. E.g. you can use the USB-Port with an UMTS-Stick. For more information, please visit the OpenWrt page of the AP121U. 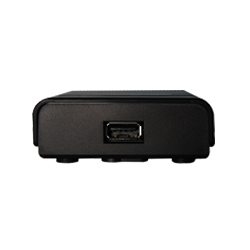 ALFA APOE03 is a PoE injector for the supply of PoE capable devices. The adapter can be supplied redundantly via AC or DC voltage.